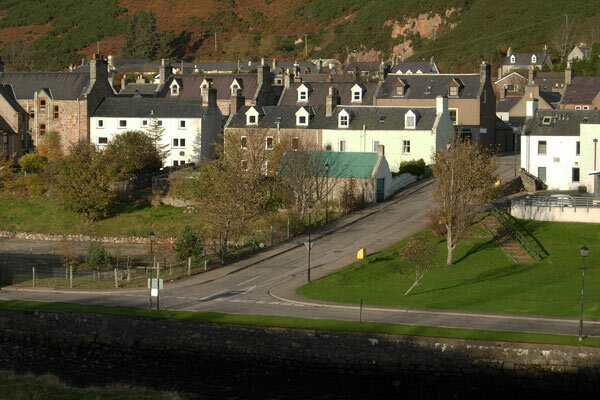 Helmsdale’s history goes back as far as Viking times but it wasn’t until the highland clearances in the early 1800s that the village that you see today started to take shape as part of radical works carried out by the Marquess of Stafford (later to become the first Duke of Sutherland) to modernise the Sutherland Estate. 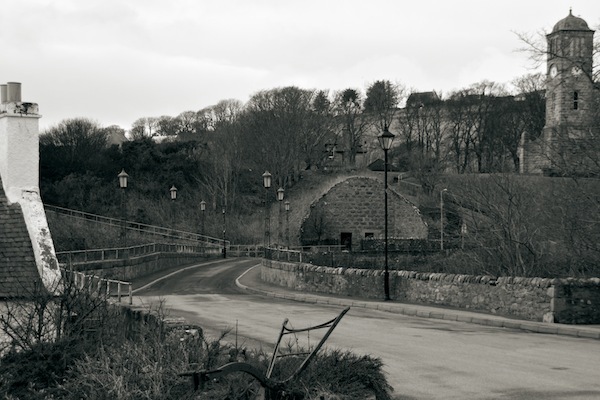 The road system was first improved with many new bridges, including Helmsdale Bridge of 1808-09, built by the well known engineer Thomas Telford. 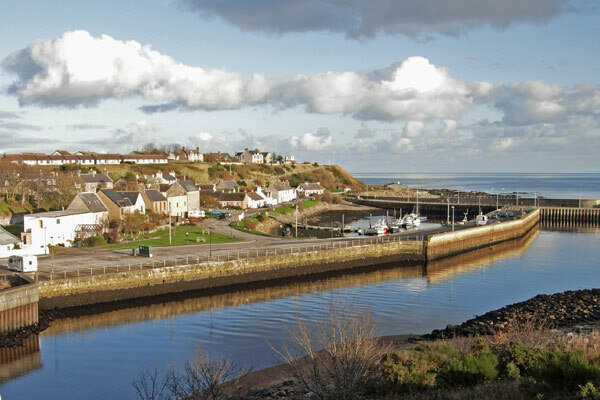 There were few locations on Sutherland's east coast that were suitable for a substantial sized harbour, but Helmsdale was identified as one of them and, as a result, in 1814 the new village was planned. Its main purpose was to house those tenants evicted from the estate to make way for sheep farms. Between 1810 and 1820 thousands of people were cleared from the land. Many travelled much further than the new village of Helmsdale, making their new home in other parts of Scotland and even further afield, emigrating to America, Africa and Canada. It is not clear from the deeds when our cottage was built; the only useful information it provides is that in 1887 the Duke of Sutherland sold the house to a Mr Powlson. The Plan of the Town and Harbour of Helmsdale, and The Plan of Helmsdale, thought to be from 1814 or 1815, both suggest that 18 Dunrobin Street (now known as Birch Cottage) has already been built. However, gathering accurate information in this part of Scotland this far back is difficult and we are not clear whether the building recorded is our cottage or an earlier structure. It's not until 1873 and the first edition of the Ordnance Survey map for the area that we are sure that the building we see today is in existence. Interesting, both the first and second edition (1910) Ordnance Survey maps show that the cottage has a large extension out into the garden running the whole length of the plot. In fact most of the wall which surrounds the back garden today is, in fact, the wall of the old extension. Timespan has an excellent photo, thought to be from about 1910 clearly showing the cottage extension, and in another photograph, thought to be from about 1940, the extension is gone but the scars of where it was are clear. The photograph shows the south-facing sitting-room window missing and therefore it must have been added later. We presume that the back extension was a business premises of some sort, probably relating to the coupers yards it backed onto. This might explain why the only ornate plaster-work in the cottage is situated at what we consider the back door, rather than at the door onto Dunrobin Street. A local resident has told us that the circular space at the back door used to hold a barometer, rather than a clock, perhaps suggesting that the weather was more important to the business than the time was. Helmsdale was one of the largest herring curing centres in the whole of Scotland and the whole of Shore Street, below us, consisted of either herring curers or coupers yards. The lane by which you access the back garden is still known as “Coupers Lane”. Further detail on our local history is available from the community website and Timespan has recently carried out a specific project to learn more about the streets of the village, called ‘The Streets where we live’.